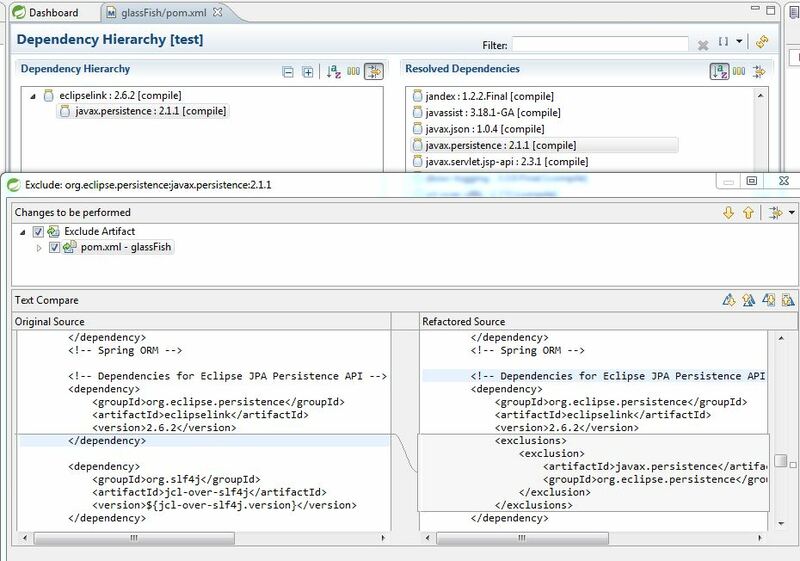 I believe Glassfish 3 has an older version of Eclipselink bundled with it along with JPA 2.0 API classes. It will be using this bundled version of the JoinColumn class instead of the one from hibernate-jpa-2.1-api. Based on the information in Upgrading GlassFish 3.1.2.2 to use JPA 2.1 it looks like your best bet would be to use a newer version of Glassfish. CNTR + SHIFT + T for the class - JoinColumn. Refer to the first diagram. It seems like your class is referred from two classes. 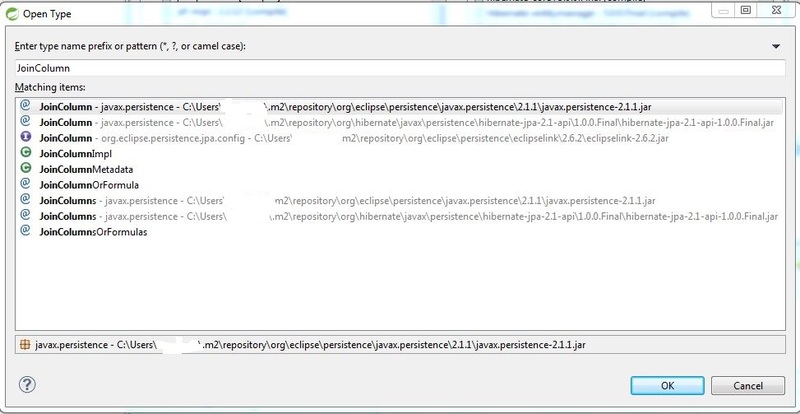 Try excluding javax.peristence dependency as it is added as a transitive dependency. Not the answer you're looking for? Browse other questions tagged java mysql spring hibernate maven or ask your own question.